Today, Reddit officially launched its own live-blogging platform. 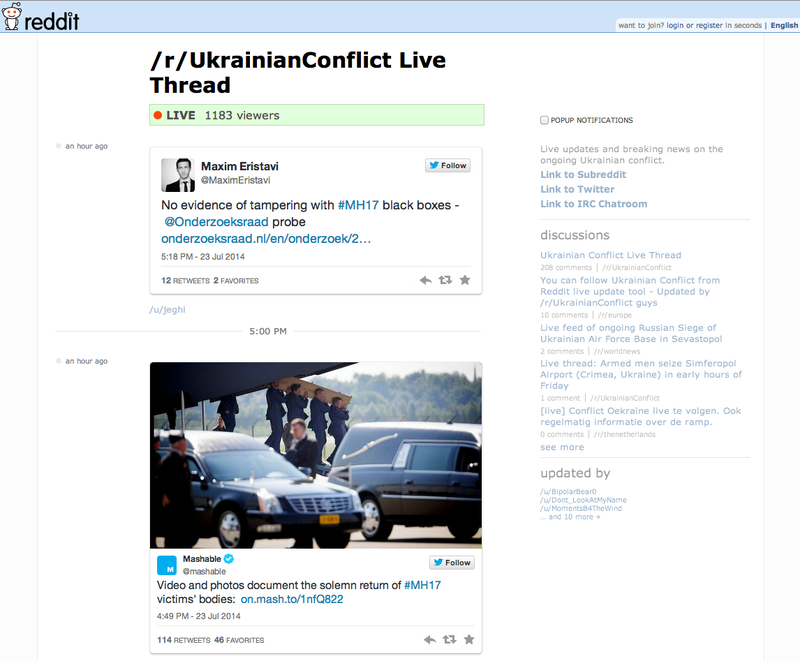 The company calls it Reddit Live and the feature has actually been in “semi-open beta” for a few months now – you may have stumbled across its threads covering Twitch Plays Pokemon and the conflict in Ukraine. During the initial beta period, only Reddit employees were able to create these live streams and authorize trusted “reporters” to contribute. Now, anyone can use Reddit Live and submit their ongoing threads to a dedicated subreddit. Unlike traditional Reddit posts, these threads will update in your browser automatically and in real-time. They also support embedded tweets, which can in turn facilitate images, YouTube videos and article links. Reddit isn’t a traditional publisher, but its huge user base means it could quickly become the default platform for user-created live blogs. Reddit has proven its ability to effectively crowdsource information online, but it comes with inherent difficulties. The site came under fire in April 2013 for its reaction to the Boston Marathon bombings, with what was later described as “online witch hunts” and “dangerous speculation.” Reddit will need to be extra careful if it wants to ensure such an incident doesn’t occur again.